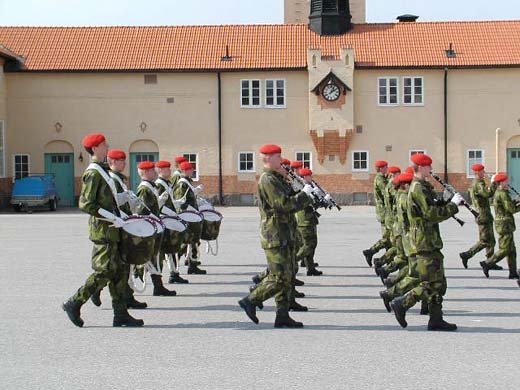 Swedish Army's March of Honour (Under Blue-Yellow Banner). 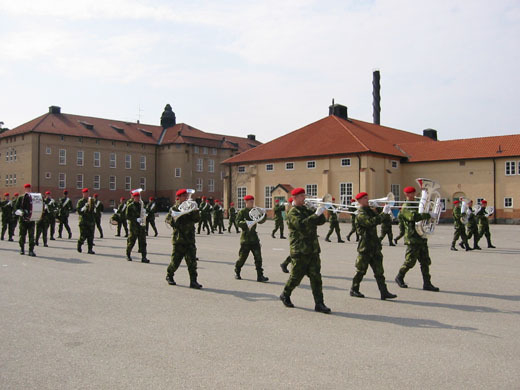 The Marches presented in the slideshows on this page are copyrighted by the Swedish Army and are placed here for entertainment purposes only, aimed towards a small group of friends. No profits are made for this site from their use, and they are not meant to be downloaded from the site. 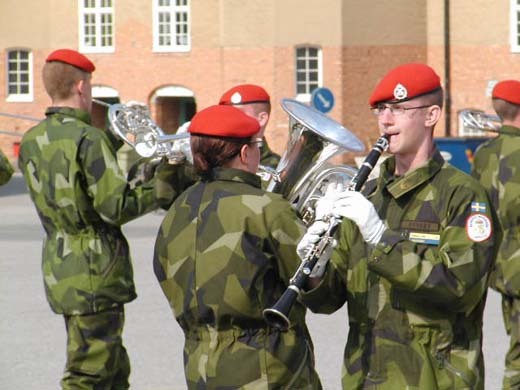 Please support these artists and purchase their music if you like it, "Svenska arméns marscher" (3 cd) at for instance Flygvapenmuseum in Linköping, Sweden. For Google Earth users. A link to placemarks showing the area of the batallion 70M in the Sinai desert. If you aren't a Google Earth user yet, click on the link anyway, you will be forwarded to the download and information site automatically. An alternative to download and install the Google Earth software above is Google Maps. No software, just click, watch and enjoy! 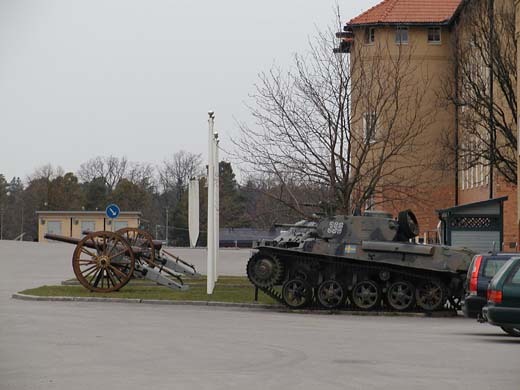 Some facts about UNEF II from the United Nations and their Peacekeeping site. 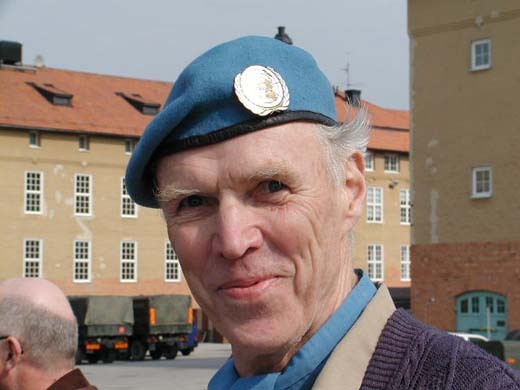 A link to The Multinational Force & Observers website, to the guy's and gal's that took over after us, and have kept on going ever since, and still are! 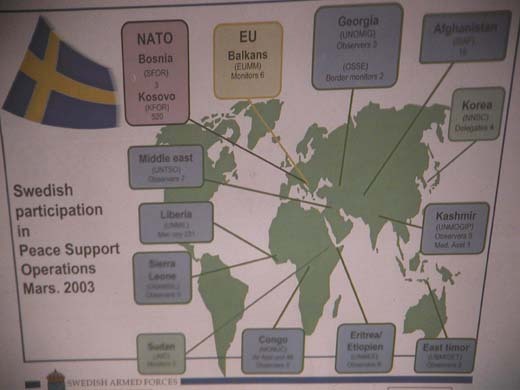 I have become aware of that there are quite an amount of sites about different Swedish UN missions on the Internet. A few photographs from my three different missions. Only a group photo and a few pictures from southern Lebanon. This is a clip from a 90 minutes long tape recording for my birthday in 1978, made by Birgitta and Johan Edgren. Johan at the time 14 years old. The lack of good radio stations in The Sinai Desert made this tape cassette even more valuable during our long car journeys, and almost a necessity during the nocturnal ones, on the for hundreds of miles desolate roads! I have treasured this tape so much and therefore kept it in such a safe place that I actually forgot where. My joy was tremendous when I just recently almost by accident rediscovered it! Times have changed, and given us the opportunity to share recorded events like this through the Internet. I have taken the liberty to post this short clip without permission, and do fully understand that I am under the mercy of Birgitta!